Is this going to be a case that is dead on arrival or is it just a way for APC and Buhari to score a political point as the presidential election draws nearer? We are not God and we cannot ascertain the end from the beginning but this is a huge step if it was done in good fate. 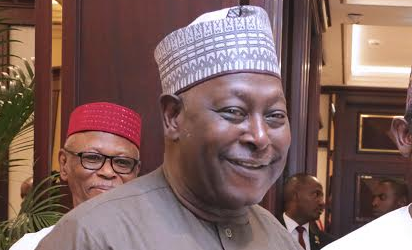 An FCT High Court in Maitama has fixed February 12 for the arraignment of immediate-past Secretary to the Government of the Federation (SGF), Babachir Lawal and five others. Lawal would be docked before Justice Jude Okeke by the Economic and Financial Crimes Commission (EFCC) on a 10-count charge bothering on conspiracy and fraud along with Hamidu David Lawal, Suleiman Abubakar and two companies, Rholavision Engineering Ltd and Josmon Technologies Ltd.
President Muhammadu Buhari had in October 2017, sacked Lawal following a report of investigations by a panel headed by Vice President Yemi Osinbajo, into allegations of fraud leveled against him.